We provide Electroplating Machinery manufacturer in India. 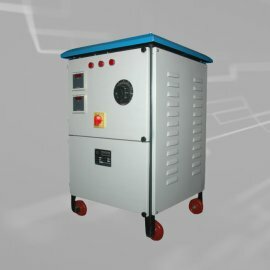 are proud to introduce ourselves as one of the prestigious manufacturers since 1982, We suppliers of a wide assembly of Electroplating Plants & Transformer’s, Our range of machines is widely appreciated for further like optimum performance, easy installation, low maintenance & longer functional life. 14/B, Thakkar Estate, Nr. Nageshwar Estate, B/H. Indiranagar, Amraiwadi. Ahmedabad - 380026.